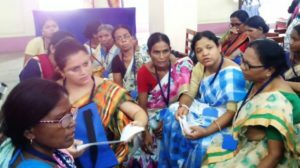 Mrs Rita Dutta President of Women’s Fellowship of Durgapur Diocese ( DWFCS) shared ” We organize Women’s Convention annually. Grassroots women church leaders during this Convention share about their experiences of weaving justice and peace in their communities, their hopes and challenges and strategizes to transform communities . Revd Papia Priscilla Duriaraj facilitated the delegates to re-read the Bible from Gender Justice perspective. Ms Moumita Biswas – Executive Secretary of Women’s Concern Ministry of National Council of Churches in India facilitated a diaogical session on Role of Christian Women in Society. Women’s Fellowship also runs Adolescent Girls Hostel and most of the girls are from vulnerable background and communities in the periphery ( slums) . According to Rt by Rt Rev Probal Kanto Dutta , Bishop of Durgapur Diocese and Deputy Moderator of Church of North India “Nurturing vulnerable children, girls through education has transformed lives. We are now yielding the reaps of our commitment and ministerial harvest. Many of the girls from the adolescent Center and Study Centers have successfully passed board exams some of them have joined nursing training, college and teachers training. Chandni Das, Sushmita Bakshi and Manju Tudu shared their stories during the Convention. Nurtured by Women’s fellowship in Adolescent Girls hostel they have graduated and are now appointed assistant teachers in St Peter’s School. 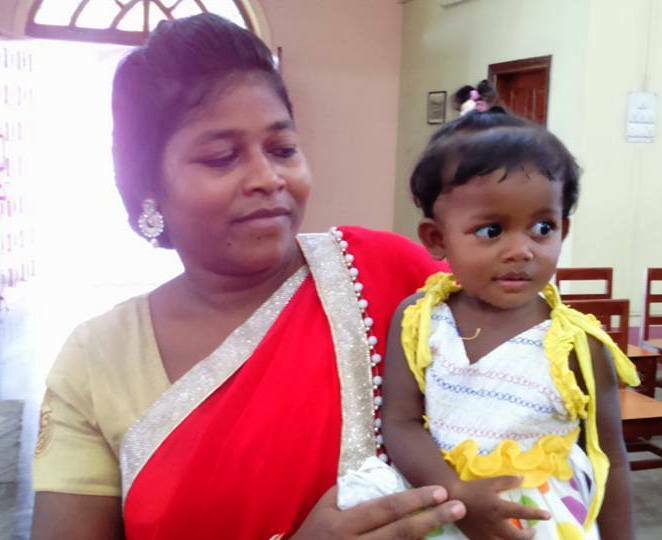 Women’s Fellowship will also support the marriage expenses of Manju Tudu who is getting married in December 2017. Anima Hansda an indigenous Santali woman from from Barikul village shared that “ Women’s Fellowship and Church have played a crucial role in my life in empowering me to realize the force is within me to bring about transformation .When I got involved in Community Development Project of Durgapur Diocese I understood the importance of women’s involvement in decision making process and also local governance of our country . I am today actively involved in Gram Panchayat (Village Local Governance System) as Upa Pradhan or Vice Chairperson of Gram Panchayat. Anima Hansda further states that “As soon as I got elected I made efforts to support widows in our village and facilitated 6 widows to receive aid and support from the Government. I also made efforts to support the blind and disabled people in our village through government aid.” She emphasized that that it is the duty of Gram Panchayat to promote child health issues and reproductive, maternal health of women and girls . National Council of Churches congratulates Rt Rev Probal Kanto Dutta , for his prophetic endeavors and ministry . NCCI also congratulates Mrs Dutta –President of DWFCS and all members of women’s fellowship for all their of transforming communities and changing lives .